A good quality double pinion hand drill from Silverline Tools. Complete with durable quality hardwood handles, double pinion milled gears make for smoother running and fitted with 6mm 3 jaw hand tightened plated chuck. 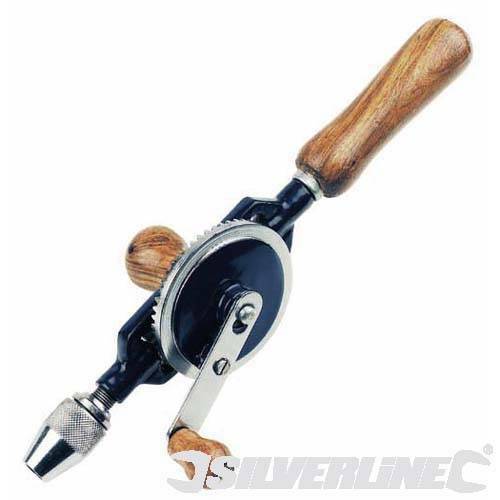 An excellent hand drill from Silverline Tools.